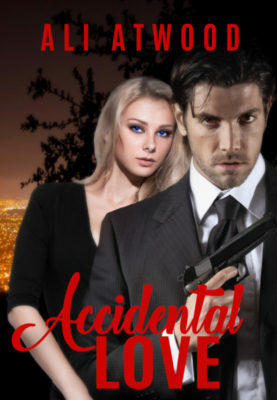 Accidental Love is a steamy suspense novel, with no cliffhangers and a HEA ending. Delaney Cole has no interest in love and marriage, at the moment. She’s a computer whiz, aiming to become a force in Silicon Valley. To pay the bills, she teaches computer science at the local high school. When a fellow teacher is murdered, Delaney finds herself the focus of a psychopath’s fantasies. As the murder investigation unfolds, and the killer circles closer, Jake and Delaney dance around their unexpected attraction to each other. Delaney is floored by the charismatic detective with the dreamboat eyes. He fits the image of her fantasy lover to a T, but he’s arrived at the worst possible time. Jake struggles to stay professional, but Delaney stirs emotions he thought he could no longer feel. He starts to think she might be his second chance at happiness—if he can keep her alive. With a faceless killer chasing her through her dreams, Delaney slept fitfully through the night, jarred awake by the apartment’s entrance buzzer. Groaning in annoyance, she rolled and squinted at the clock on the night table. 8 a.m. She wasn’t expecting a delivery, and her friends knew she usually slept late on weekends. She figured someone had buzzed her apartment by mistake. She snuggled down again, grumbling, “Dope,” into her pillow.